Pink ceramic scent Buddha Tableau on its black easel associated with an organic essential oil of lavender. 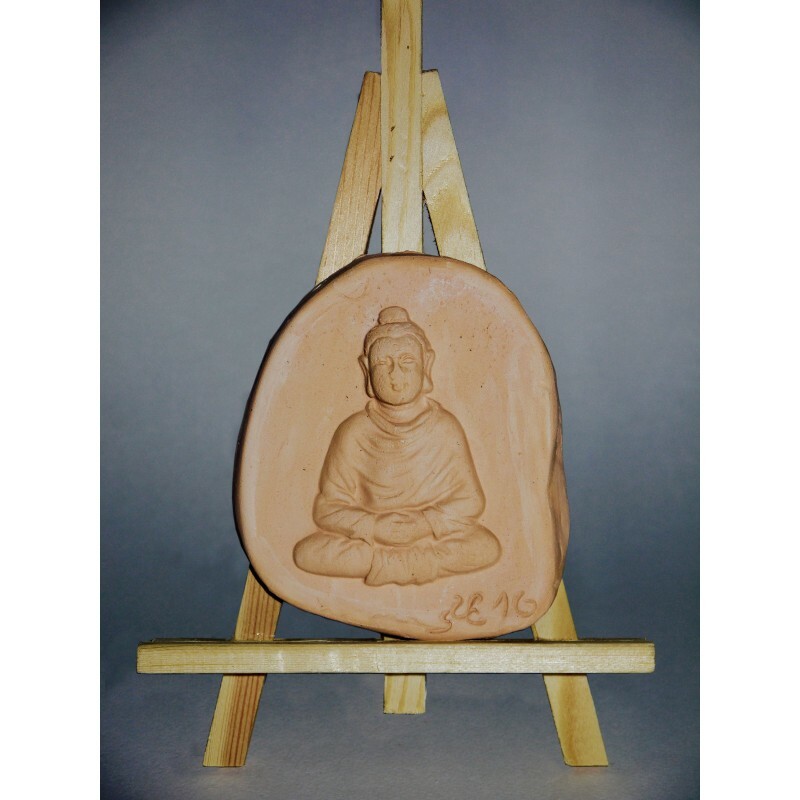 Diffuser of essential oils in pink ceramic. 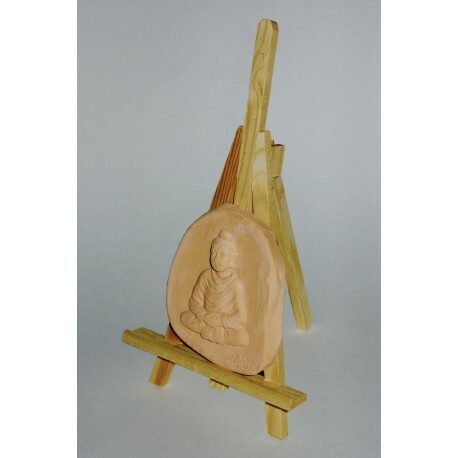 This Buddha will spread lavender scents for a long time. 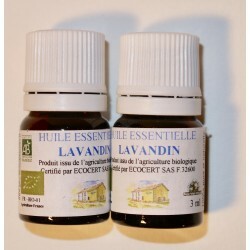 Essential oil of organic lavandin from Vosges. 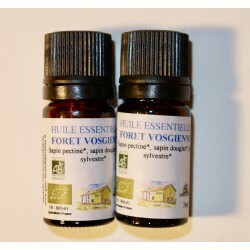 Bottle of 3 ml. 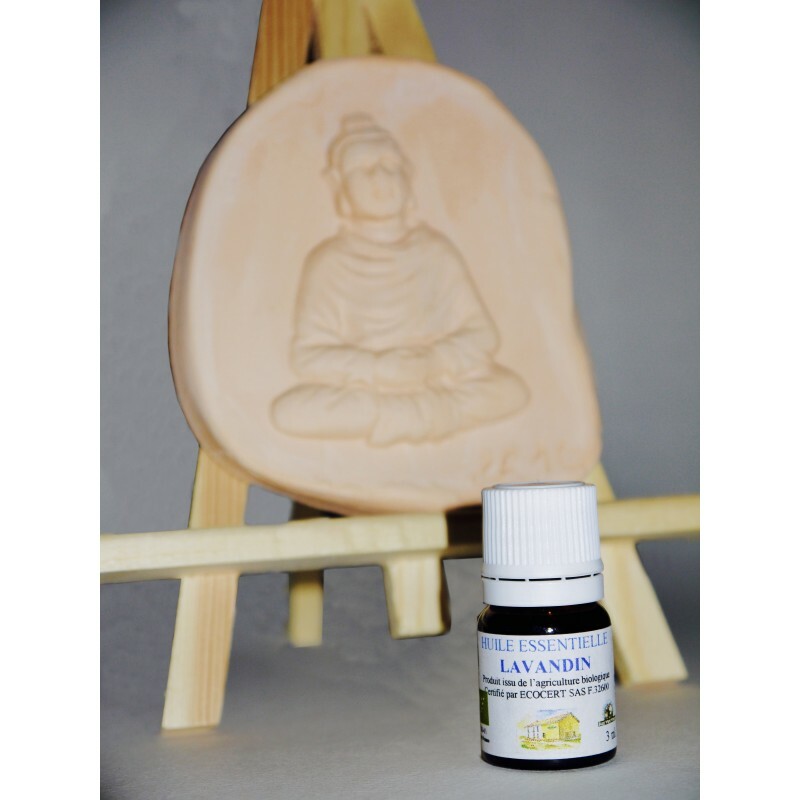 How to use: place a few drops of essential oil on the ceramic. Renew as necessary.